So summer 2010…Not wrote anything on my blog for far too long, and I’ve seen quite a few exciting things in the last 2 months. After finishing my first year at uni i’ve been keeping in touch with friends by sending collaged envelopes and letters, there’s nothing like giving and receiving visually exciting mail, well at least I think so anyway, there are far too many dentist appointment letters and bank statements in this world. In June I visited my good friend Sophie in Bristol and enjoyed the colours of the groovy street art and the St Pauls carnival, before going to a street party. It was after this visit I managed to work for a few weeks to save up enough for my trips to Devon then Berlin. But the reason I am writing this blog entry is in fact not to give you a running commentary of my summer, but to describe inspiring things I’ve seen along the way. This is where I stayed with my friend Beth and her family in a lovely house just off the beach, I didn’t do any painting while I was there but i took a few sketches from the balcony…I never realised how much i missed living by the sea until I was on it’s doorstep again. While walking along the coastal path the sun was setting and there was this beautiful pinkish light….it was then I think I started to understand some of the things one of my lecturers said: about the ‘sublime’ and artists being at one with nature. I felt perfectly contented to be in this place, and to be surrounded by such an amazing view. 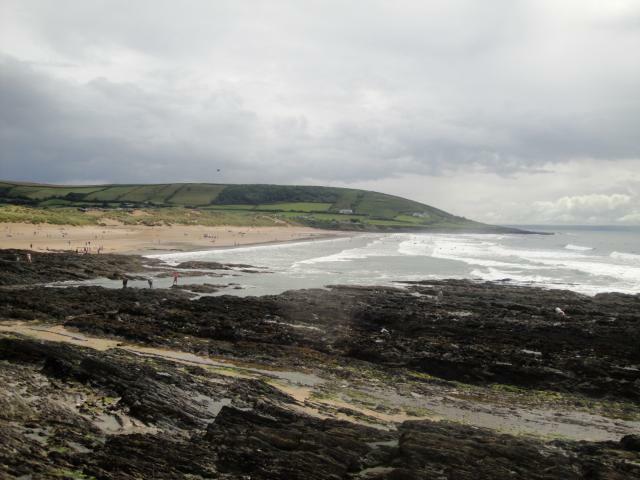 I could have been painting this scenery all day but as I was on holiday, I went swimming in the sea instead lol… After visiting a local sculpture park in Devon i did some sketches from the work of sculptor Claire peice. 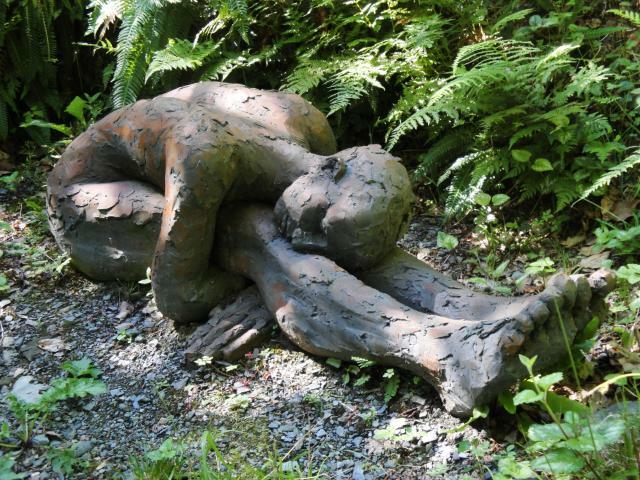 I found her sculptures so touching as they were so ‘human’…in a more emotional way than physical. 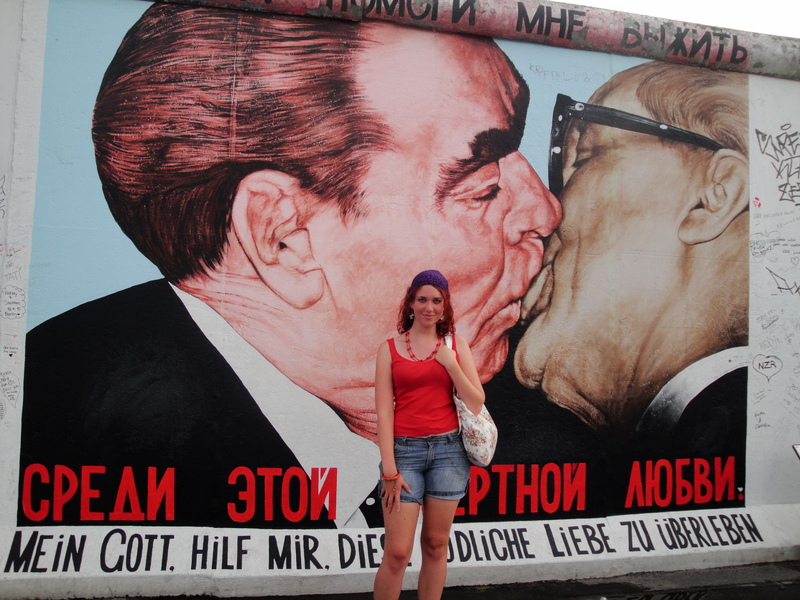 I’d say that my friend and I had an alternative experience, as opposed to the way usual tourists experience Berlin…But at the same time Berlin is a very alternative place. We stayed there for a week on my flatmate’s bedroom floor, visiting a jamaican beach bar and artist’s squats. Full of street art I feel abit like the Banksy’s of Bristol prepared me for Berlin. 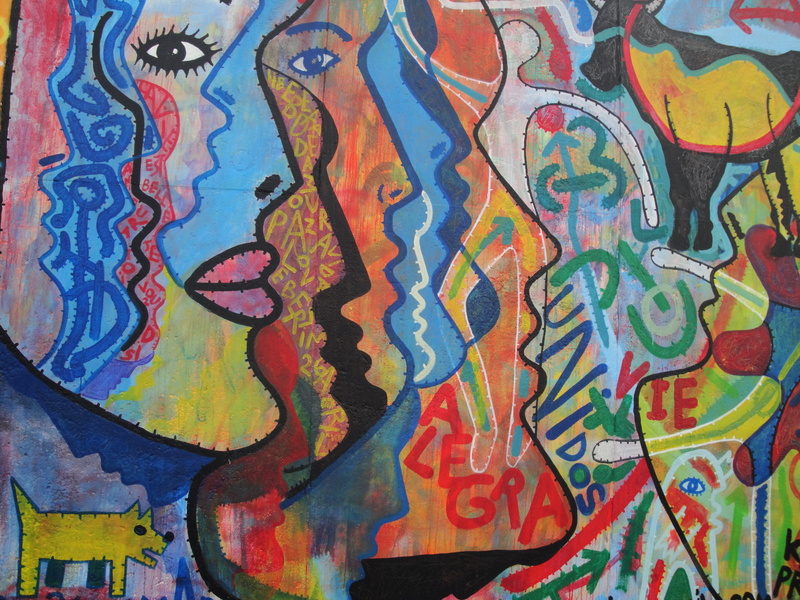 The street art and national art galleries made Berlin in my opinion have one of the most vibrant art scenes…although I’m not quite speaking from experience. 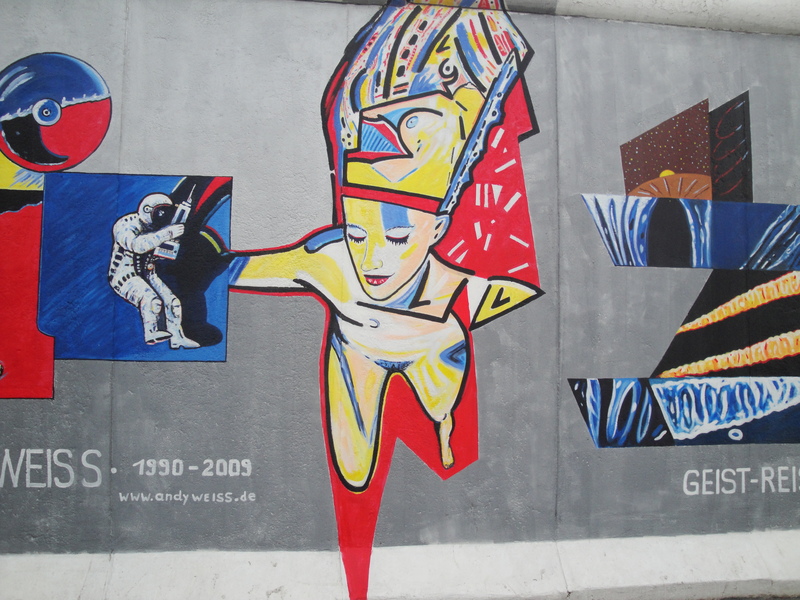 The Berlin wall that was once a physical and metaphorical barrier seperating the city is covered in bright murals and paintings by many artists, portraying messages of peace and democracy. We didn’t try to walk the whole wall, but got the S-bahn to a long stretch of the wall. I was happy reading bits of french while beth was translating political messages in the native german. We learnt on an alternative tour that the murals had been recently repainted. We visited this gallery on a thursday, the day in which many of the galleries are free. The only trouble is many of Berlin’s galleries are so vast it was hard for us to fit in everything we wanted to. I had learnt about German expressionism, and German art works inspired by the first and second world war in my first year at Aberytsywth, but never too much about german impressionism. 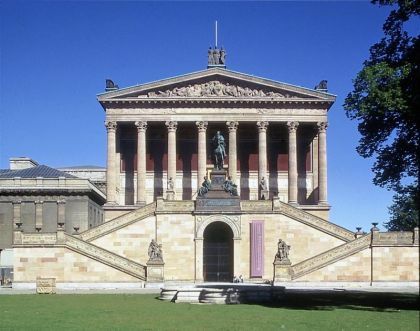 The Alte National Galerie had many paintings by Lovis Corinth and Adolph Menzel. I loved how they created light through use of colour and brush strokes and took sketches and notes from some of the paintings looking at successful compositions. 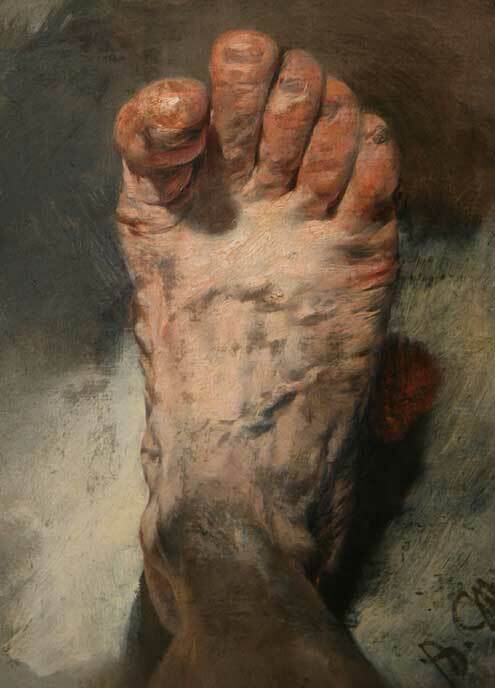 The painting I found the most fascinating was a study of a foot by Menzel. 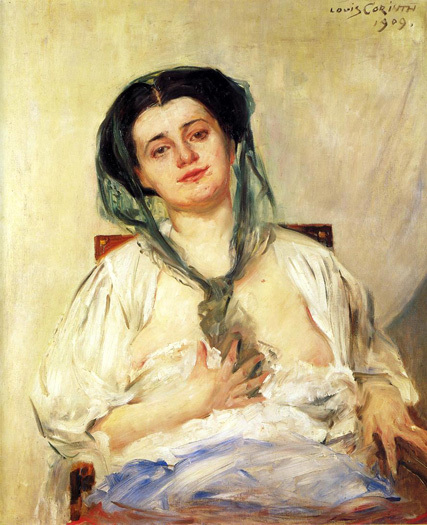 Like the more modern painter Lucien Freud, Menzel was brutally honest when depicting this flesh. It’s obvious aesthetics were not his main concern as this foot appears almost as knarling as old twisted branches of a tree.